Feel the exhilaration of pushing your limits with our tours designed by cyclists, for cyclists. Our open and private cycling tours are available in France, Italy and the USA. DuckStore cycling trips cater for all abilities and interests! 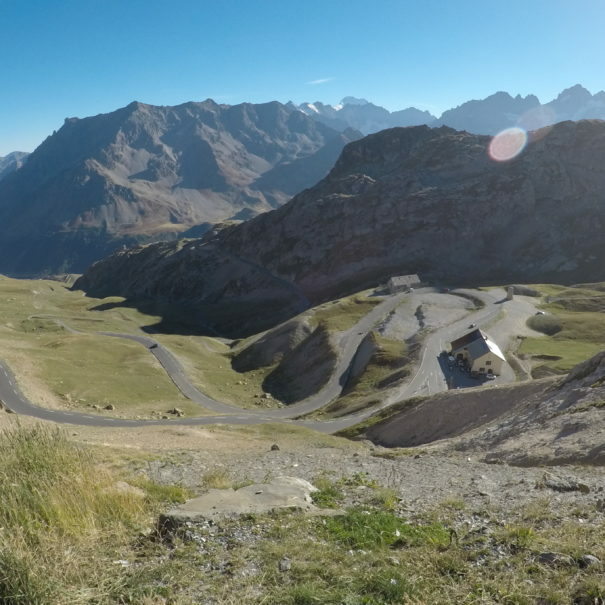 Ride up mythical cols, experience the best roads for recreational cycling in France, Italy or the USA, challenge yourself in an epic cyclosportive or watch the Tour de France live. Open cycling tour or bespoke holiday — you choose! 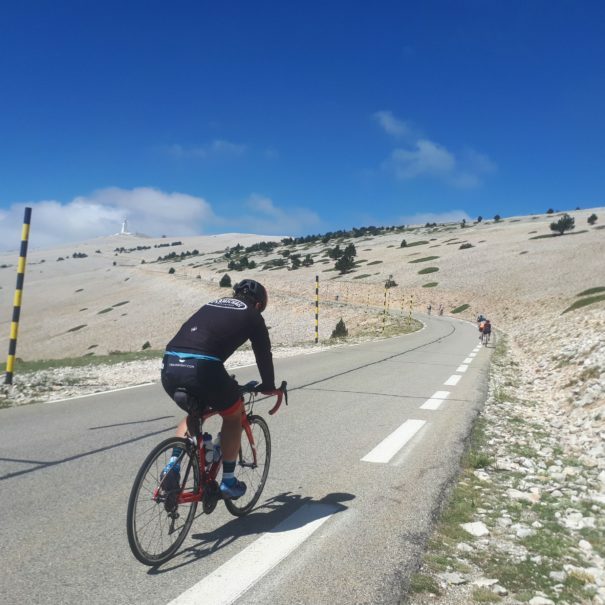 Join one of our open trips and pedal with others to spur you on or let us put together a custom trip for your group based on what you consider to be an ideal cycling holiday. Ready for new truly exhilarating rides? Join us for a cycling vacation that matches your ambitions! May - Going back to DuckStore roots, this cycling camp is designed with a relaxed approach of riding across the French Alps. June - Now a classic ride for us and 6 days of fun! We’ll head out directly from Annecy, Haute-Savoie to Menton, on the Mediterranean coast. Private riding training camp in Provence to get ready for Mont Ventoux ascent. Whether you’re new to cycling or at your peak, you can have an exploit: all it takes is a personal challenge and an appetite for adventure. That personal challenge, powered by passion, might not involve a race. Maybe it’s riding L’Etape du Tour at your own pace or exploring the iconic climbs of the French Alps or Dolomites. Perhaps your exploit is simply riding your first Alpine climb solo on a beautiful day or pushing farther and higher than you thought possible. Your exploit might even be a race with a twist, like trying to be the first in the sprint for a beer! Beware: the thrill of hearing your tires whir on the pavement and feeling the wind on your skin, coupled with the buzz of reaching your exploit might be addictive! 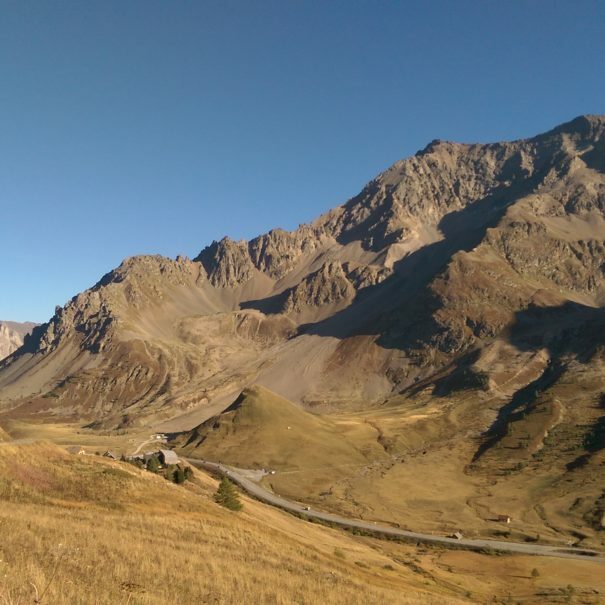 The incredible tapestry of France and Italy provides serpentine routes rich in cycling history, villages and vistas of indescribable beauty and a plethora of awe-inducing climbs that have always challenged cyclists. Exploits are accessible to everyone. From a private chef and UCI Pro guide to catered mountain top lunches and daily massages. These guys and girl rock. White Pond Racing gives John and his team an A plus plus rating.